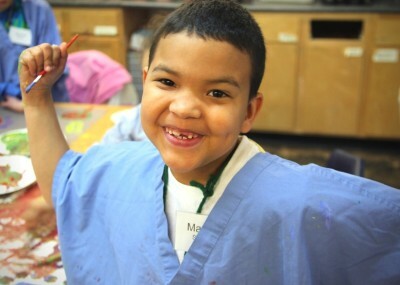 ArtMix is celebrating 36 years of serving people with disabilities through the creation of art! We could not provide a judgment-free environment with professional teaching artists and adaptive equipment without the support of so many. Do you want to be associated with a nationally award-winning organization? Do your company’s values align with ArtMix’s mission? Do you want to ensure that ArtMix continues to bring more smiles and build self-esteem through the arts for the next 36 years? Then, we want to partner with you! ArtMix’s sponsorship program is different than most other nonprofits’ programs. We want to engage your business throughout the year with our students and their families and to provide you with recognition at a variety of events and programs. Take a look at the Corporate Sponsorship chart to find a giving level that fits your marketing and philanthropic goals. Then, contact Kathy Pataluch at 317-974-4123 or kpataluch@artmixindiana.org with any questions and to join the ArtMix family of invaluable sponsors.